If you look at your body like a house, your spine acts as the foundation. If your home's foundation is shifted, you can expect to eventually find cracks in the flooring or stucco, doors and windows that may not open and close properly, and even problems with the roofing. Similarly, Structural Shifts of the spine can lead to many secondary conditions including back and neck pain, headaches, numbness, trouble sleeping and low energy- just to name a few. 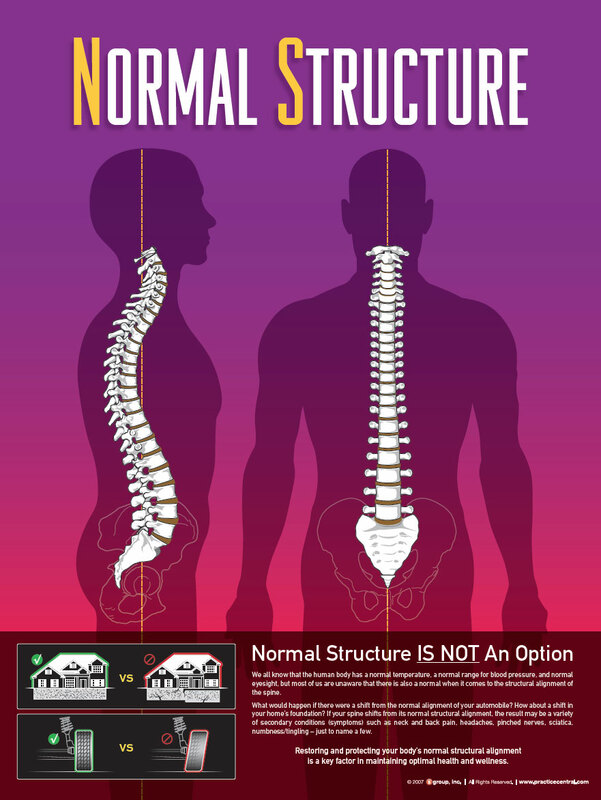 Instead of focusing on the treatment of many secondary conditions, we work to guide your spine towards what is considered normal. We all know that normal body temperature is 98.6 degrees Fahrenheit, normal blood pressure is about 120/80 and normal eyesight is 20/20. We know there is a normal heartrate and normal breathing rate, and we also have tools to measure if the air pressure in your tires is too low. The only way to appreciate what is abnormal- is to know normal. With regards to your spinal structure, we are not expecting anyone to be perfect. 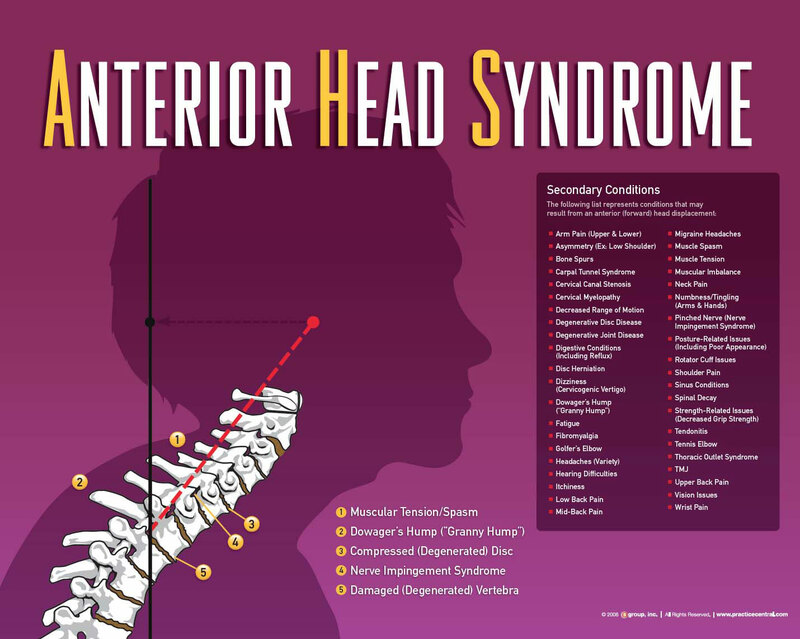 However, if your head is displaced 1 inch beyond what's considered acceptable, you have Anterior Head Syndrome, which is a common Stuctural Shift. Your head shifting forward is no different than your house sinking on one side by just an inch or two, or your car being forced out of alignment. These shifts can occur laterally (right or left) or forward or backwards. We not only want to identify where the shift has occurred, but where the problem is coming from.